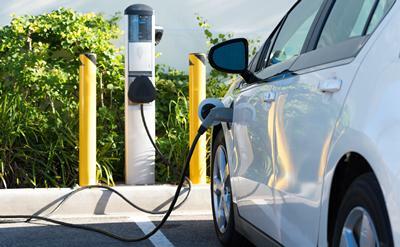 The University of Southampton has been named as one of seven UK universities that will lead pioneering research into the next generation of battery technology as part of a new £65m national institution. Announced this week by Greg Clark, Secretary of State for Business, Energy and Industrial Strategy, the Faraday Institution will drive and accelerate fundamental research in developing battery technologies and their real-world applications. It will draw on academic expertise in universities across the UK to deliver a research and training programme that is designed in conjunction with industry to keep the UK at the forefront of new battery technologies. The aim of the programme is to make the UK the go-to place for the research, development, manufacture and production of new battery technologies for both the automotive and the wider relevant sectors. Chemistry at Southampton is a world-leading centre for research in electrochemistry and the science underpinning the development of future energy storage solutions for electric vehicles, while the University’s engineers are engaged in understanding and controlling the charging of electric vehicle batteries, as well as providing training in all aspects of automotive battery systems. Welcoming the announcement, Professor Mark Spearing, Vice President (Research and Enterprise) at the University of Southampton, said: “This is a very exciting time for battery technology and its application to automotive and other sectors. The University of Southampton is well-placed to make strong contributions to the Faraday Institution from our very strong research base in electrochemistry and the engineering expertise relevant to power management and overall system design. Funded through the Engineering and Physical Sciences Research Council (EPSRC) and the Government’s Industrial Strategy Challenge Fund (ISCF), the Faraday Institution is part of the coordinated activity between Innovate UK, EPSRC and the Advanced Propulsion Centre (APC) to meet the Faraday Battery Challenge, announced by the Government in July, of delivering an integrated programme of research, innovation and the scale-up of novel battery technologies. The Institution will have a budget of £65m over four years. This will be used to set up the Institution, to establish a battery technology training programme, and to fund a series of research challenge projects carried out in the academic sector under the Faraday Institution’s direction. Announcing the investment this week, Greg Clark said: “Through the Faraday Research Challenge we are cementing our position as the ‘go-to’ destination for battery technology so we can exploit the global transition to a low carbon economy. “The Institution will have a critical role in fostering innovative research collaboration between our world-leading universities and world-beating businesses to make this technology more accessible and more affordable. Southampton is one of seven founding universities, alongside University of Cambridge, Imperial College London, Newcastle University, University of Oxford, UCL and the University of Warwick.